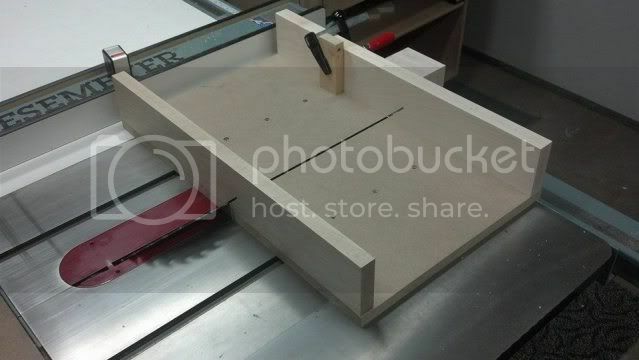 I recently made myself a 45 degree miter sled after reading a Fine Woodworking article about box making. 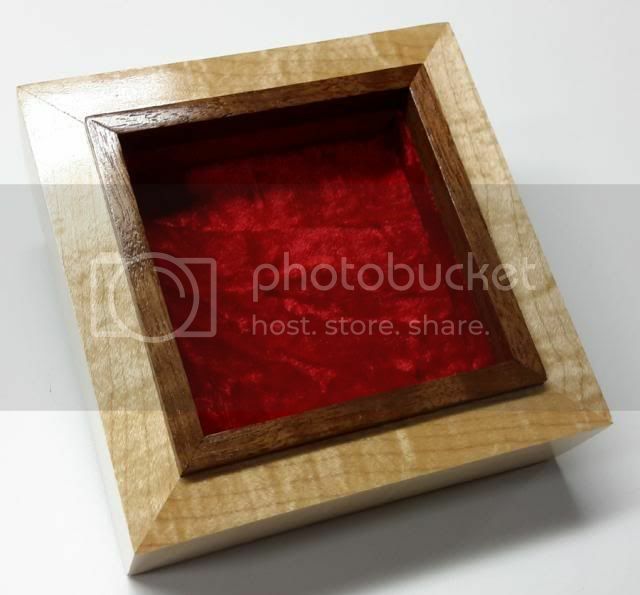 The box sides are maple, the frame is Walnut. It’s lined with crushed red velvet. The heart is Red Heart. The finish is Generals Seal A Cell, followed by 4 coats of gloss wipe on poly. 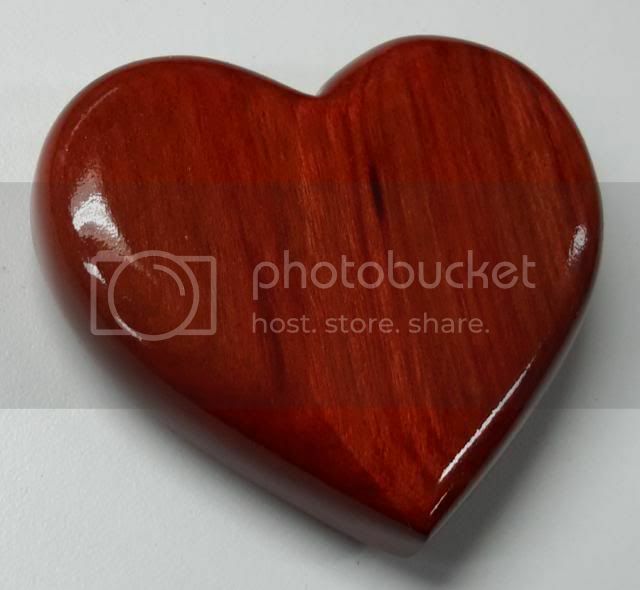 The heart is held in place with a rare earth magnet. Its behind the velvet in the base and there’s a washer countersunk in the back of the heart. This way you can take out the heart and hold it in your hand.. 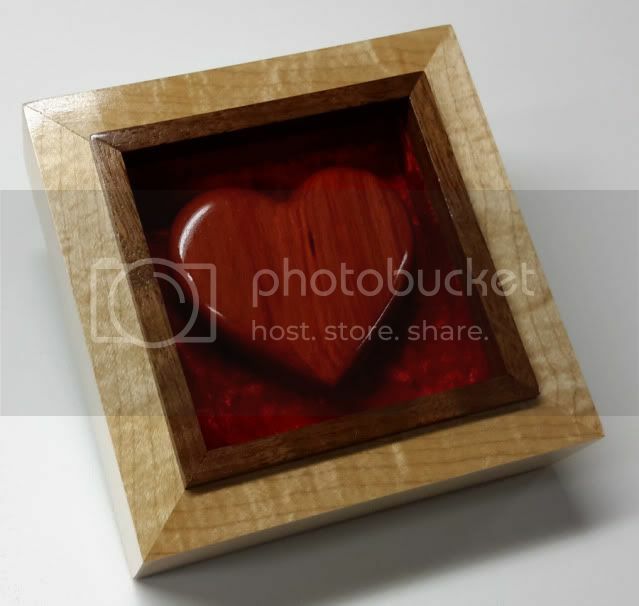 The wife loved it..thats a definite benefit to being a woodworker..hand made gifts always score high! Very nice Valentines gift, you did an excellent job. You are correct hand made gifts are so much more loved. The gloss on the bright red heart is just outstanding! I haven’t used GF seal a cell for a long time (since I moved to CA 18 years ago), I guess I had better get back to that. Small gift with a large impact. Super nice, The miters are very crisp also. Nicely done! Can’t go wrong with handmade hearts for the loves in our lives! excellent work!!! the cut and finish looks perfect!!! The velvet looks like you dyed some maple and made the bottom. great color with the heart! Wow ! What a beautiful present ! All the best for both of you. Great piece, I bet the rewards were great too. A lucky person she be. Very nicely done in all respects. Lovely and sweet gift! 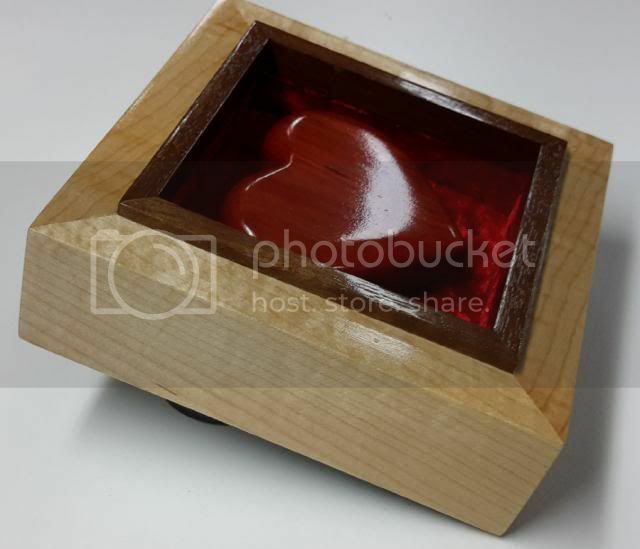 The red heart is really stunning, beautiful box and awesome finish.